Becki May is our Latte Art Champion! 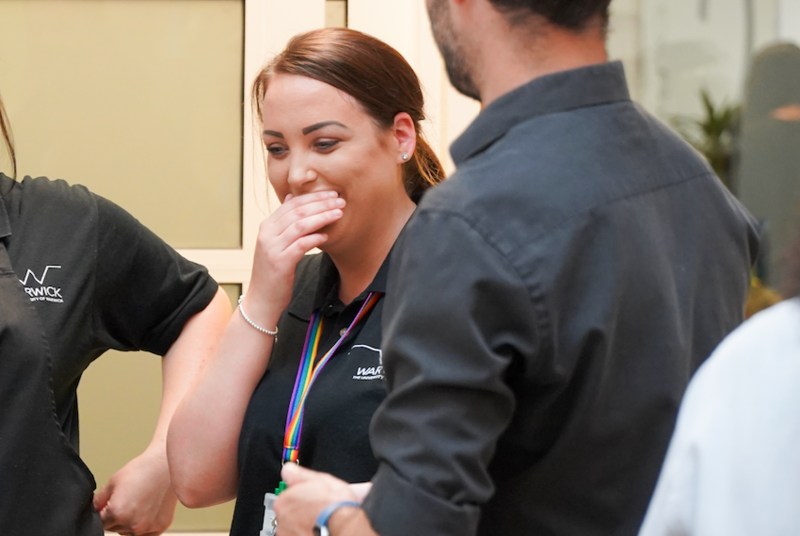 On Wednesday 20th June, Warwick Retail, Union Coffee and La Marzocco collaborated to put on an exciting coffee event in University House Atrium. The day consisted of coffee sampling, a flavour challenge and a Latte Art Throwdown. Union provided samples of their delicious Cold Brew which is now available in selected Warwick Retail outlets. If you missed out on the sampling, be sure to try one from our café’s. The flavour challenge was definitely fun, and it was great to see so many people give it a go, though we will say that some participants were certainly more accurate than others! The Latte Art Throwdown saw a total of 16 of our baristas compete over four rounds. In each round, two baristas went head to head, rolling a dice to determine the required Latte Art, with the winner moving forward to the next round. Baristas were given two attempts to pour their pattern and choose which drink they put forward to be judged.The 3 judges voted the coffee they thought was best, by looking for contrast, symmetry, definition, and an unbroken crema ring at edge. The final round saw our baristas Miguel (from Café Library), and Becki (from University House) go head-to-head, judged on a best of three. After lots of excitement and some seriously impressive Latte’s, the judges announce Becki as the winner! Congratulations to Becki for this fantastic achievement! Overall the day was a huge success and we look forward to replicating it in the future.